Jayne Anne Phillips has always been a master of portraiture, both in her widely acclaimed novels and in her short fiction. The stories in Fast Lanes demonstrated the breadth of her talent in a "tour de force of voices, offering elegantly rendered views into the lives of characters torn between the liberation of detachment and the desire to connect. Three stories are collected in this edition for the first time: in "Alma," and adolescent daughter is made the confidante of her lonely mother; "Counting" traces the history of a dommed love affair; and "Callie" evokes memories of the haunting death of a child in 1920's West Virginia. 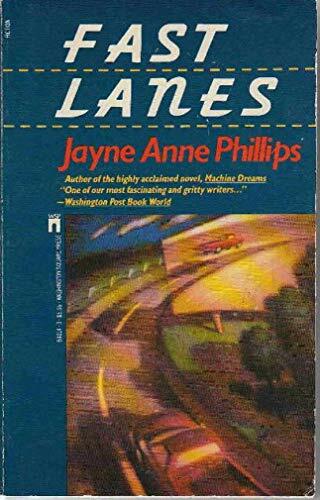 Along with the original seven stories from Fast Lanes--each told in extraordinary first person narratives that have been hailed by critics as virtuoso performances--these incandescent portraits offer windows into the lives of an entire generation of Americans, demonstrating again and again why Jayne Anne Phillips remains one of our most powerful writers.